Want to see what is for Sale at Kai Makani? Selling a Condo at Kai Makani? Kai Makani Condos For Sale. 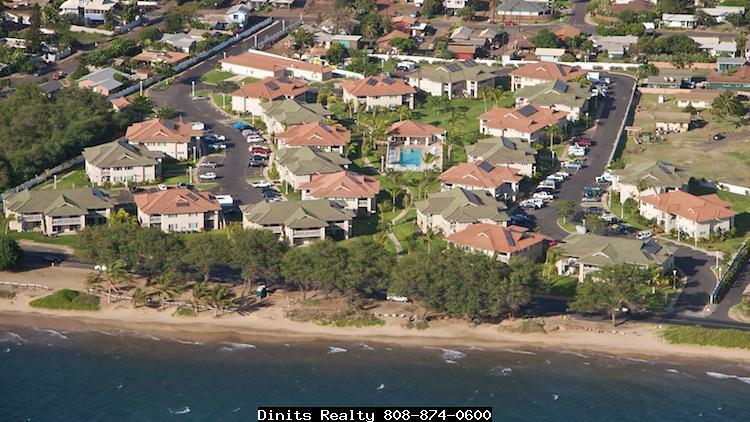 Kai Makani Beach Villas is a fee simple condominium complex located across the street from the ocean in North Kihei. 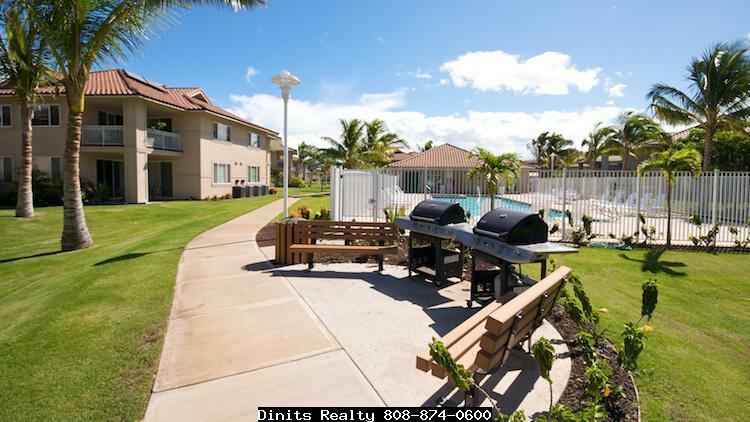 Completed in 2008, Kai Makani offers 112 units in twenty-two, two story buildings on a 9.8 acre property fronting popular South Kihei Road. Units range form 811 square feet to 1238 square feet. Kai Makani is the perfect home for those seeking an active beach lifestyle, because of its location. If you like to stand up paddle board, windsurf, kite surf, kayak, swim or walk a sandy beach you can cross a street and enjoy all these beach activities and more. Kai Makani Monthly Maintenance fee covers water, sewer, garbage, basic cable, and common area upkeep and insurance. People love living here because it is centrally located with easy access to Wailuku or Kahului in Central Maui or Lahaina. If you have a four legged friend you will be happy to know this is a pet friendly complex permitting up to 2 animals weighing 30 pounds or less. 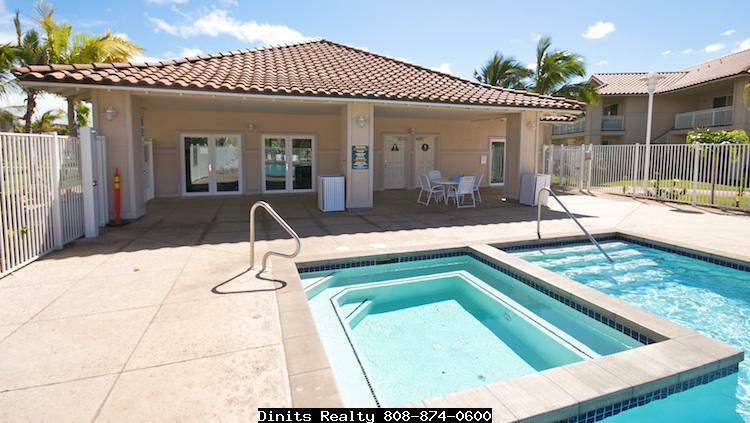 Kai Makani has a pool area with space to lounge, hot tub, shower, and a club house with an air conditioned exercise room; all gated, with a keyed entry for resident’s exclusive use. Apartments come with one assigned parking space and one unassigned space for you to use. 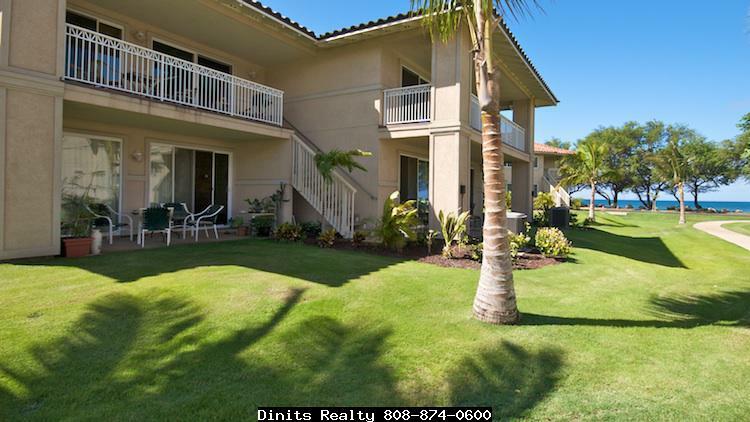 Attention investors Kai Makani allows long term rentals but no short term, vacation rentals. 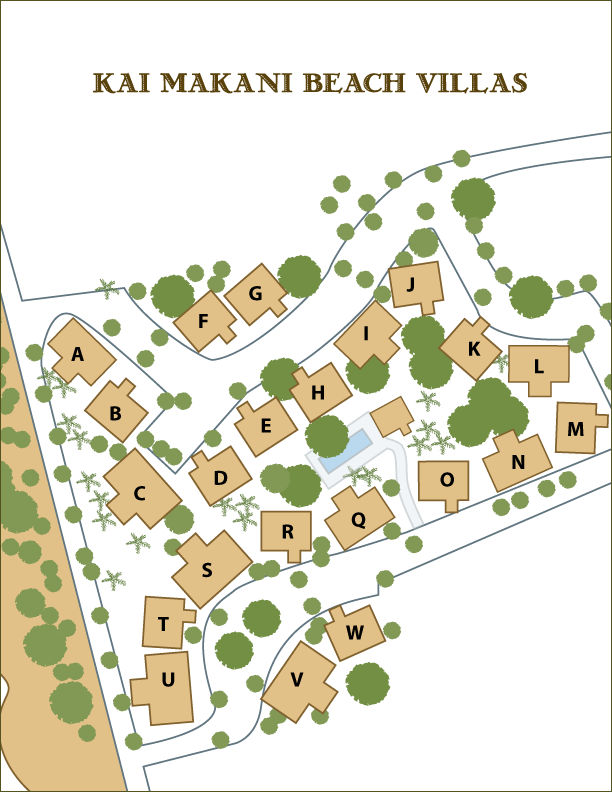 The breakdown of the 112 units is: thirty Plumeria or Hibiscus models with two bedrooms, two baths and 811-823 square feet interiors, fourteen Protea models with two bedrooms, two baths, 1075 square foot interior, twenty eight Gardenia floor plan with two bedrooms, two baths, 1126 square foot interior, and forty Orchid models with three bedrooms, two baths and 1238 square foot interior. There are external storage rooms with fifty square foot interior that come with some but not all condos; be sure to contact Howard Dinits to find a property with this amenity if it interests you.